The Maserati brothers of Bologna founded their racing car manufacturing company in 1926. 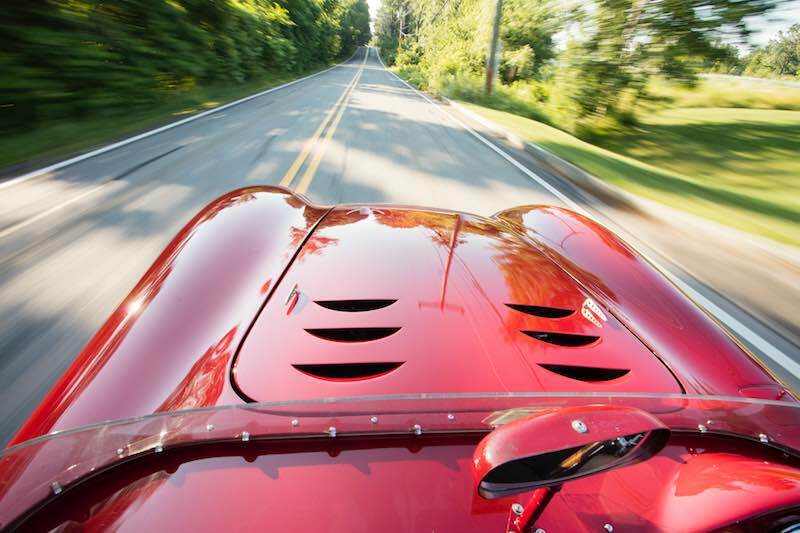 The company was pure-bred, real racers building real racing cars for a racing-orientated specialist clientele. And so they remained for many years. After the Gruppo Orsi organization bought the company in 1937, and the brothers finally completed their service contracts and left in 1947-48 — founding OSCA — Maserati as a marque continued its dedication to competition, with a road car production line only slowly beginning to emerge. 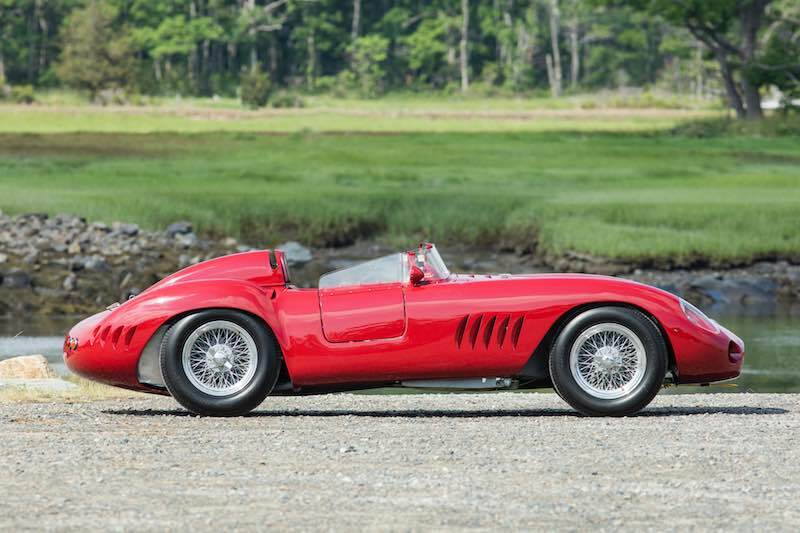 Racing customers found Maserati generally more helpful than other manufacturers, more willing to do a deal with its racing customers, and its line of 2-liter A6GCS sports-racing cars earned many friends into the early 1950s. 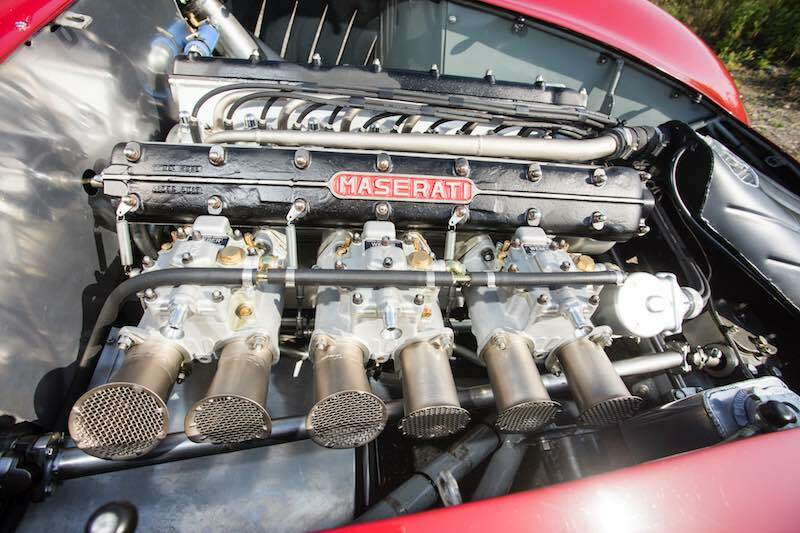 The 6 cylinder twin overhead camshaft engines were powerful within their class and the chassis developed by engineer Vittorio Bellentani — proved relatively light but good handling and nimble. 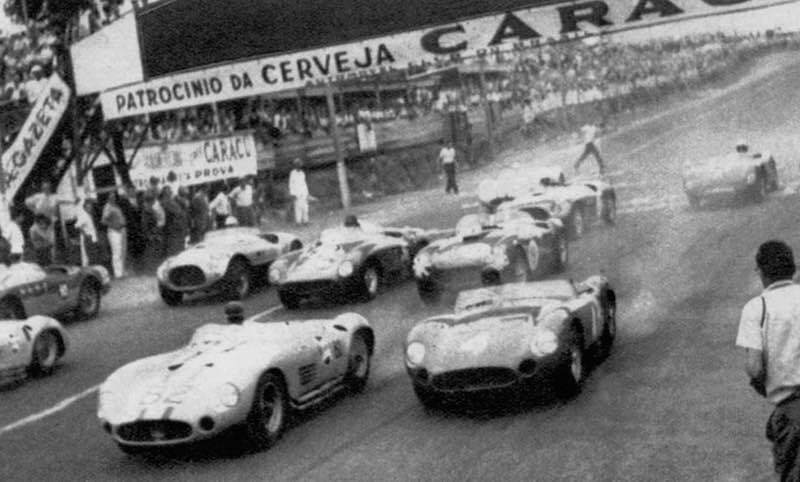 Maserati in fact proved more effective within the smaller capacity classes, up to 2-liters, than their rivals and neighbours, Ferrari at Maranello. But the Maserati management team visualized an entry in the larger capacity class of sports car competition, for in 1954-55 Vittorio Bellentani developed the 300S 3-liter 6-cylinder model — combining in effect the best attributes of the 2-liter A6GCS with those of the latest 2.5-liter Formula 1 Maserati 250F. 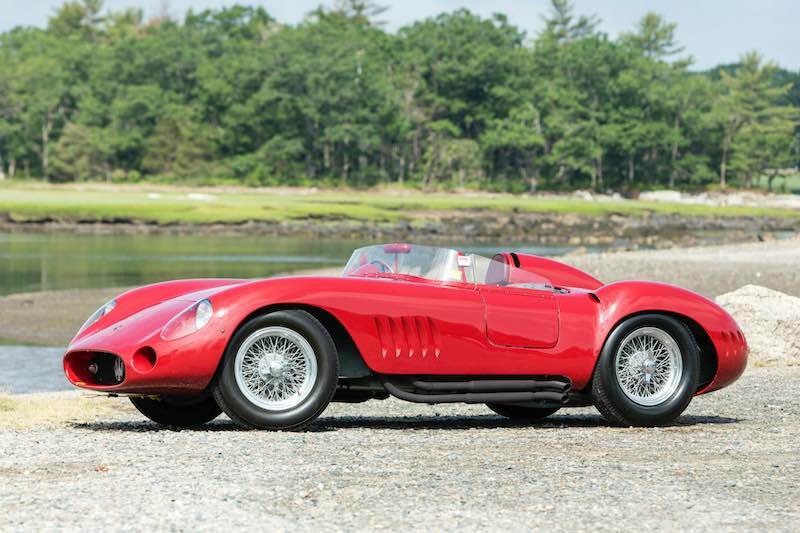 From 1955 to 1959 at least 26 Maserati 300S sports-racing cars would be manufactured, emerging in three broad variants, each one more effective than its predecessor. Maserati’s first prototype 2.5-liter sports car engine building towards the full 3-liter 300S delivered some 240bhp at 7,200rpm on one of the Modena company’s dyno test beds. Juan Manuel Fangio and Onofre Marimon co-drove the prototype upon its debut in the Supercortemaggiore Grand Prix at Monza Autodrome. Of the first batch of five 300S cars to be constructed, three were destined for the American market — all ordered by Briggs Cunningham. The first three frames were considered too flexible and so modifications were made to numbers four and five. 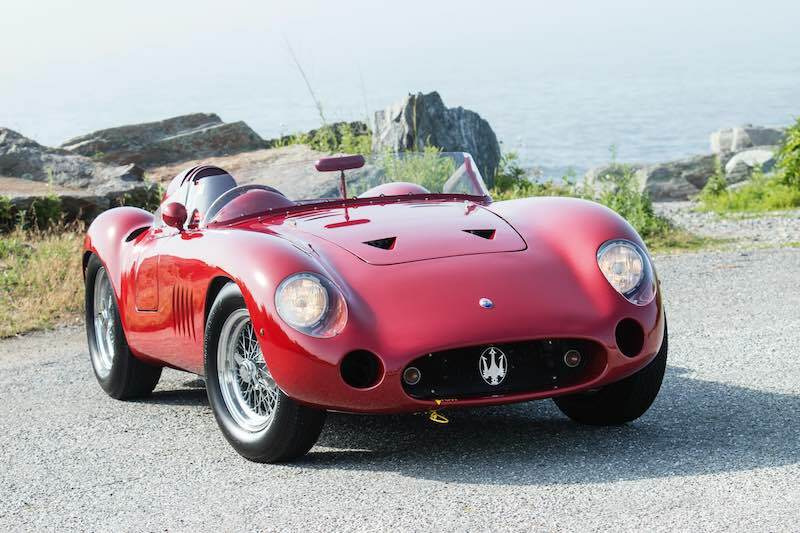 The definitive Maserati 300S sports-racing cars then emerged with what was rated by many world class drivers as being the best handling of all mid-1950s sports-racing cars. Stirling Moss wrote in his diary after a particularly challenging Buenos Aires 1,000Kms race in Argentina in which he started in a 450 S Maserati but finished in a 300S when the 450S had mechanical failure: “It had been a wonderful race for me which I enjoyed enormously. This was my greatest drive. 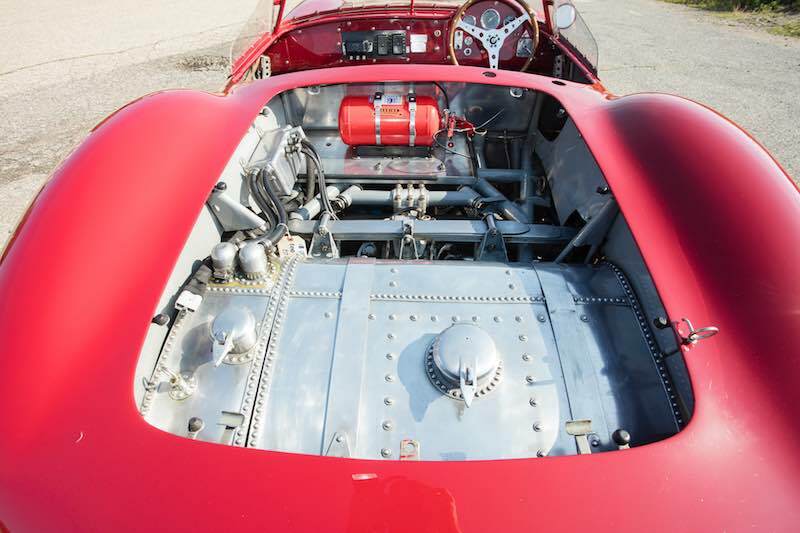 Car (300S) fabulous — 6,400rpm and I braked at 250 metres, in 450S braking at 500 metres.” This is a most personal testimonial from one of the greatest drivers of all time which absolutely underlines the fabulous Maserati 300S’s stature within racing at that time, and within the Historic and Vintage scene today. 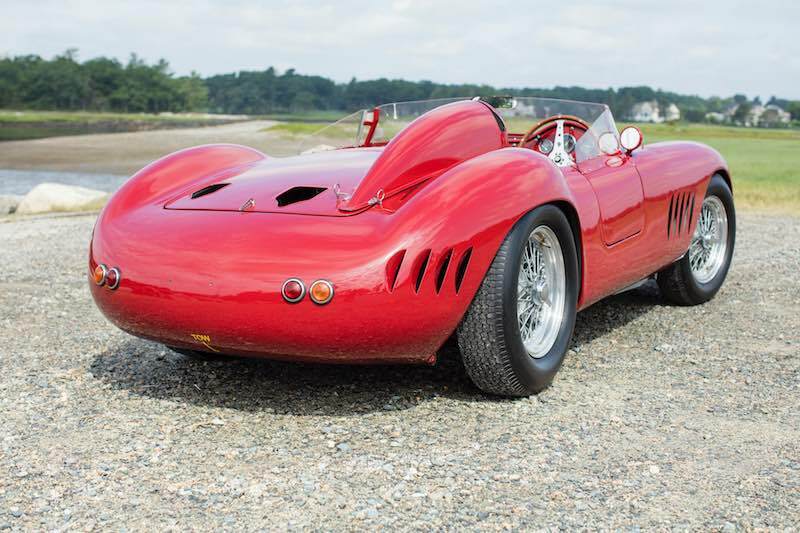 If the Maserati 300S was one of Moss’s favorites to drive, he is also on record as having described Fangio as the greatest of them all, and this remarkable 60 year old sports racing car brings together all of those characteristics and this mythical driver. Historian Walter Baumer is an acknowledged expert on Maserati sports racing cars, and penned the definitive reference work on the model in 2008. That Maserati book is being updated and Bonhams consulted with Mr. Baumer in advance of the new updated publication in an effort to chart the history of 3069 in its most up to date form. 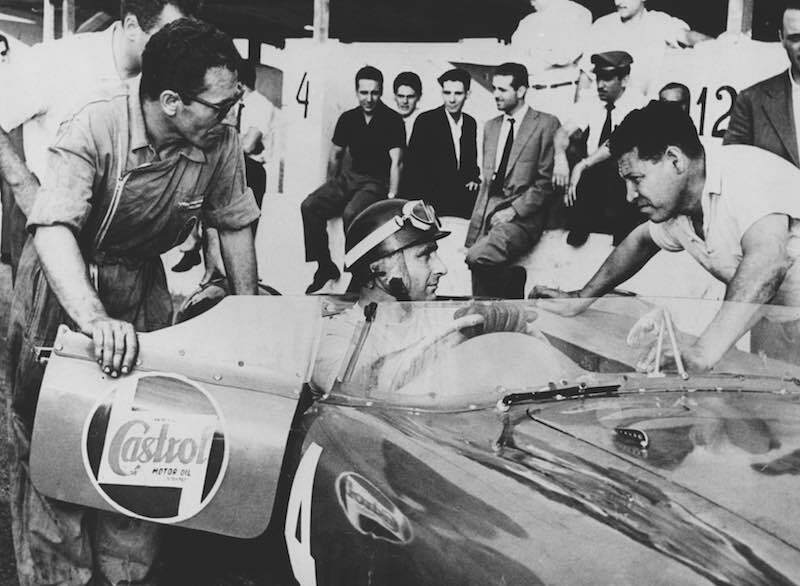 Mr. Baumer feels that it is highly likely that 3069 was a factory works car in 1956, but it has not been possible for him to chart specific results as a result of famously poor record keeping at Maserati at races, nor with its first privateer owner, Italian Armando Zampiero, who bought the car from Maserati in 1957. However the sale of the car in 1957 brought the greatest driver of all time into the cockpit of 3069. The car was upgraded by the factory to the latest and most up to date specifications for the 1957 race season and the factory sold 3069 to Marciello Giambertone, for the use by the legendary racing driver Juan Manuel Fangio. 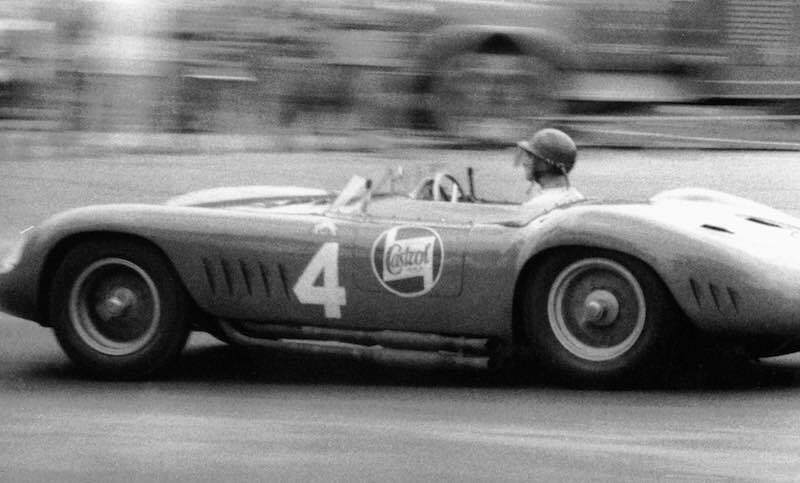 For the 1957 season, Fangio joined the Maserati team for Formula 1, and famously would pilot their 250F Single Seaters, but he was not contracted for the factory for sports racing cars and raced for private teams.